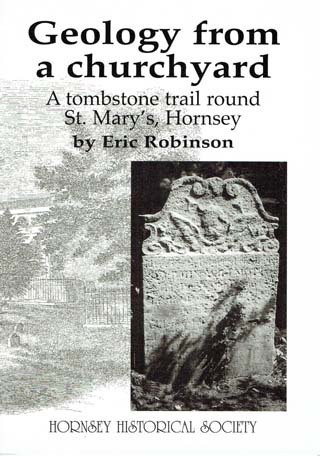 This illustrated booklet, written by an eminent local geologist, provides an informative account of the materials, design and features of St. Mary’s 18th and 19th century gravestones and tombs. Eric Robinson is a geologist who gives much support to conservation groups. He taught at University College London in the department of Earth Sciences until his retirement. He has been President of the Geologists’ Association and Vice President of the Royal Archaeological Institution and President of Highgate Harriers.